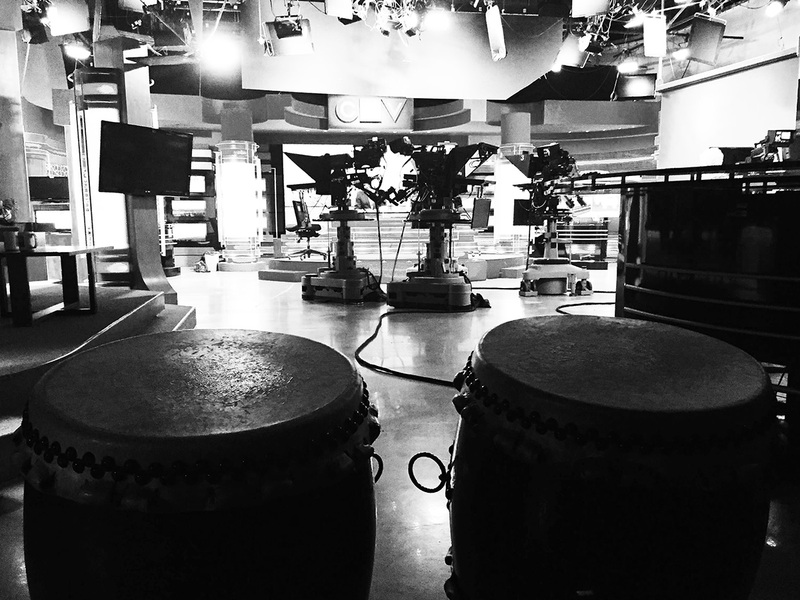 We thought we had made a big splash when we were interviewed for a Cochrane newspaper and had a radio interview during Canada Day 2015, but it didn’t compare to be invited to do some live Taiko drumming on one of Canada’s largest broadcast corporations – CTV Television! 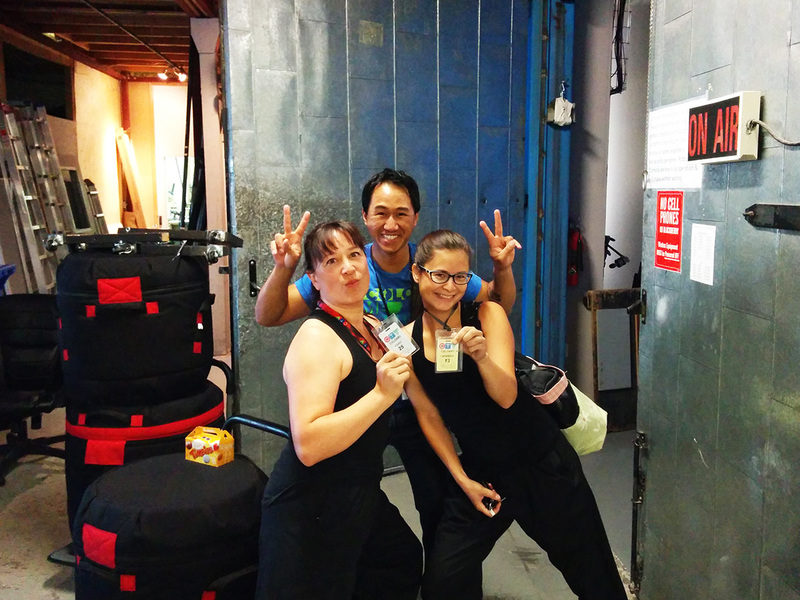 We were invited to their studios to “drum up” some excitement in a short segment to promote this year’s Calgary Japanese Festival Omatsuri as part of the entertainment at the event. 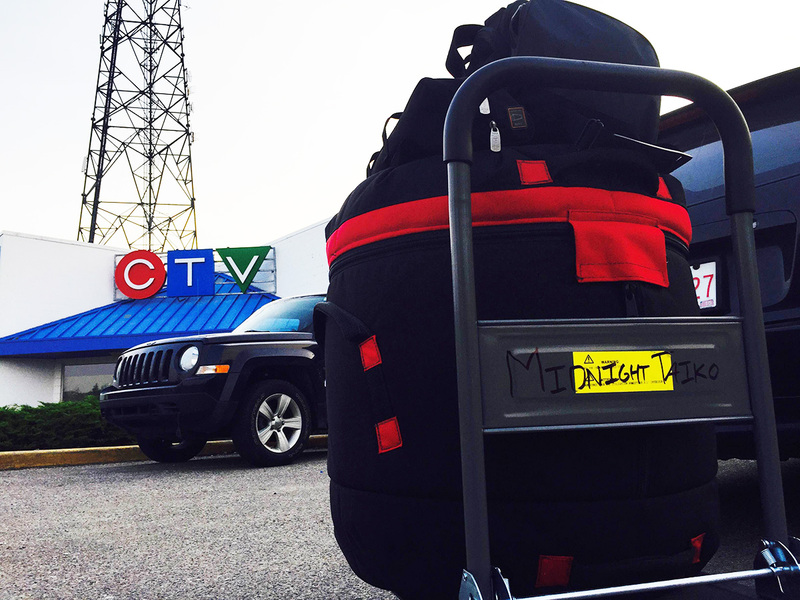 It was a short, 90-second segment with some awkward closeups (for us at least) and a lot of nerves, but the four of us had a lot of fun being on television and representing Taiko drumming in Calgary. We appreciated the hard work from all of the volunteers to promote the festival that is a amazing representative of an authentic Japanese festival, and despite the rains that fell on the day, there were still a huge number of attendees that came to the festival to make it a great success. 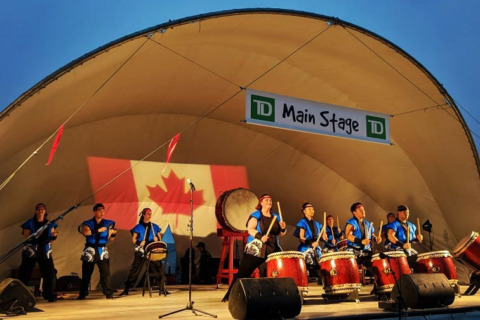 We are always proud to be a part of Omatsuri and will continue to promote Taiko drumming and Japanese culture in Calgary. 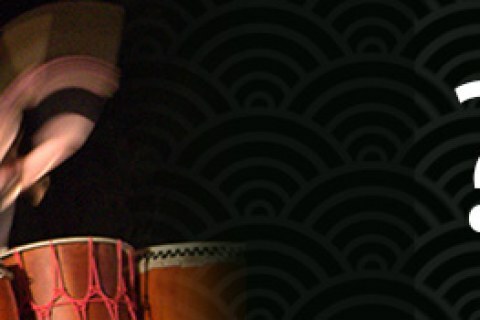 Take a look at the clip below to see Midnight Taiko in action!